Sneakerheads were teased again this past week, when images of the black “OVO” Air Jordan VIII’s hit the web. 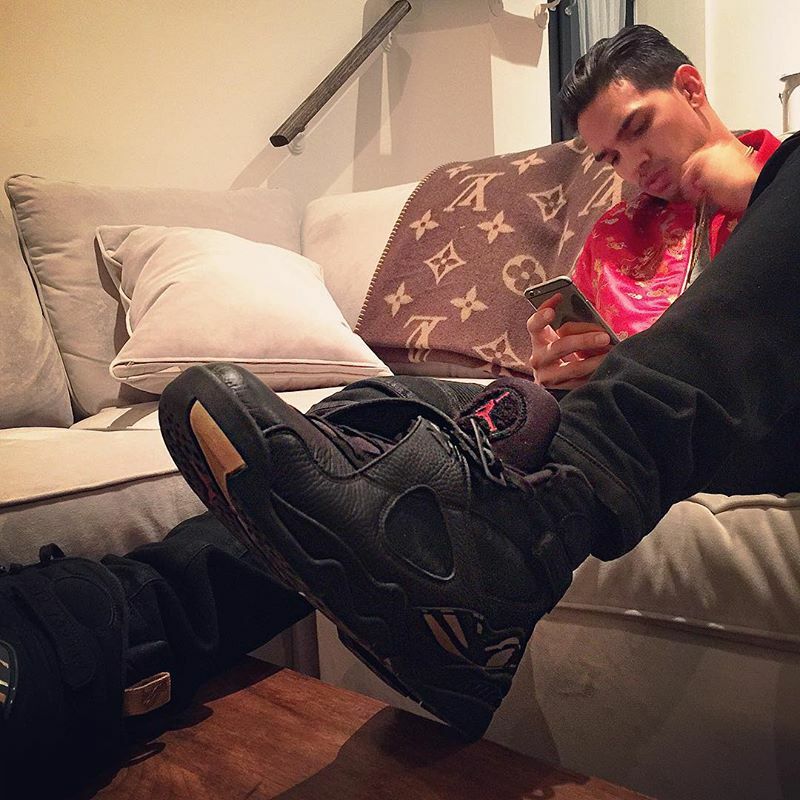 The images were seen on the feet of Drake’s pal/restaurant owner Levi-Brent Lee. From what we can see the sneaker features premium black leather on the toe and straps, a red Jumpman logo on the tongue patches,an OVO owl logo inside the tongue, and accents of gold along the midsole and outsole and the heel tab.